Polyisobutene (PIB) eliminates water from the system and prevents new deposits from forming, but doesn’t get rid of existing deposits. Polyisobutylene amine (PIBA) scrubs the fuel system and gets rid of any existing deposits and does not require the frequency of application that PIB cleaners do. Acetone. Similar to PIBA in its effectiveness. Polyetheramine (PEA) is the most powerful cleaning agent in fuel additives and is more efficient at cleaning your fuel system than both PIB and PIBA. Naphtha or Stoddard Solvent were the precursors to PEA, but not quite as effective at overall cleaning. 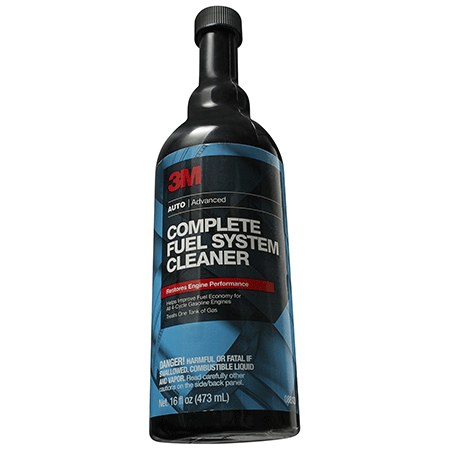 3M Complete Fuel System Cleaner is designed to remove carbon buildup in combustion chambers and fuel injectors on your engine in the time it takes to consume 15 to 20 gallons of fuel. Additionally, it protects against carbon buildup over time. It’s active ingredient is polyethelene amine, which is a type of PIBA. Will clean and protect against carbon build up. Good price at $0.82 per oz. If you are focused on getting rid of nitrous oxide Lucas Oil Deep Clean is for you. It does also take care of carbon buildup and the prevention of long-term carbon buildup, which contributes to pinging and lower fuel efficiency. It’s active ingredient is also PIBA. Effective against carbon buildup cleaning and protection. Very economical at $0.50 per oz. Techron Concentrate Plus Fuel System Cleaner helps improve cold start performance and fuel stability, reduces sparkplug fouling and erratic engine performance, and restores lost power and fuel economy. How it does all that is something of a mystery because we could not find any listing of its active ingredients, but more than likely it also uses PIBA as the active ingredient. It will clean and protect against carbon buildup. Economically priced when you buy a case at $0.55. 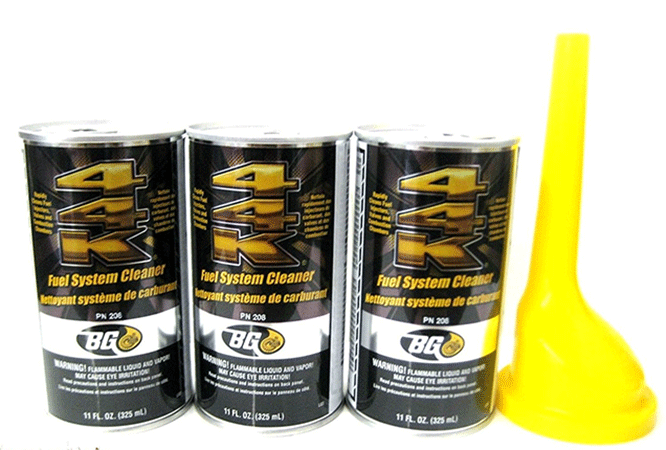 BG 44k Fuel System Cleaner is wildly popular and demands a higher price. It will raise the octane of your fuel and give you better fuel economy and a performance boost. It cleans your fuel system, but not any more effectively than the three listed above. Its active ingredients are Xylene and Cumene, which are both solvents similar to PIBA. Raises your fuel economy and engine performance with an octane boost. Demand lends some credibility to effectiveness. 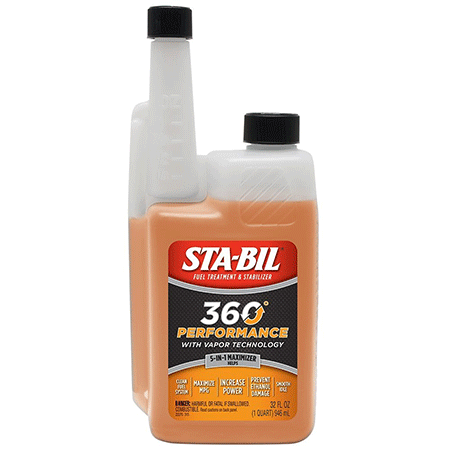 Helping to prevent vapor lock and remove water from your fuel system are two goals of STA-BIL 360 Performance. It helps maintain fuel stability when your engine is not being used for a long period time, like boats, snowmobiles and other engines that are used seasonally. It also prevents carbon buildup over the long term. Given that list of attributes, though we could not find any list of active ingredients, we have to assume that this product’s active ingredient is PIB. Gets rid of water in fuel system. Decent price at $0.62 per oz. Mr Gasket Cataclean Fuel and Exhaust System Cleaner is EPA approved for the reduction of carbon emissions by up to 50%. The reason it is EPA approved is because it does actually clean carbon buildup inside the combustion chamber of your engine as well as your exhaust system. It makes use of acetone as an active ingredient, which does actually clean carbon buildup from your engine. 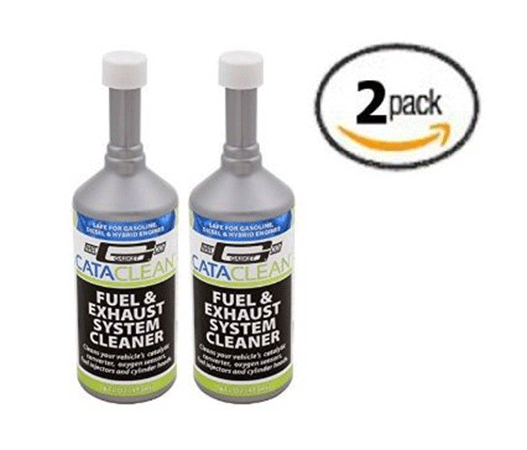 Gets rid of carbon buildup in your fuel and exhaust systems. Protects your engine against future carbon build up. The reduction of nitrous oxide and carbon monoxide emissions from your exhaust system is related to your engine burning cleaner, which is what Royal Purple Max-Clean accomplishes in your fuel system. By reducing and eliminating carbon buildup, fuel economy and engine performance are also enhanced. Besides eliminating and preventing carbon buildup in your fuel system, Royal Purple also gets rid of water. Its active ingredient is PEA. Effectively cleans and protects against carbon buildup. Eliminates water from your fuel system. Better value for your money at $0.68 per oz. 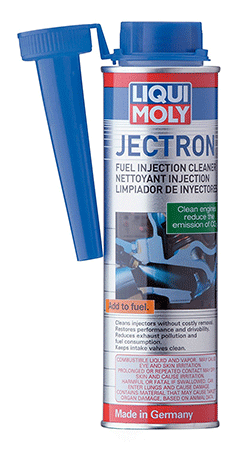 Cleaner combustion and lower fuel consumption are two of the benefits of Liqui Moly Jectron Fuel Cleaner. These two attributes are a result of a fuel system cleaner that truly performs as billed. Liqui Moly not only gets rid of carbon buildup, but also eliminates water in your fuel system. Its active ingredient is also PEA. Eliminates carbon existing carbon buildup and prevents future buildup. Cleans water out of your fuel line. Has the pour spout attached. The purpose of a fuel stabilizer is to maintain the quality of your fuel whenever it has to be stored. STA-BIL Fuel Stabilizer fulfills that purpose and also prevents corrosion inside your engine due to the presence of water in your fuel system. 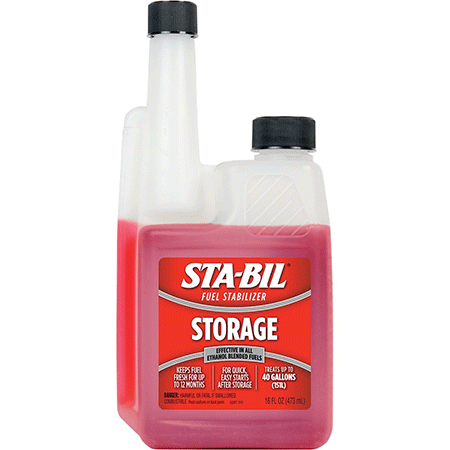 This treatment utilizes PIB as an active ingredient and is best used right before you put your seasonal engines into storage while they’re not being used. Because this is so vital for the performance of seasonal engines, it gets a boost toward the top of the list. Gets rid of water and water corrosion inside your engine. Keeps fuel compounds from breaking down during storage. Great case price offering at $0.42 per oz. 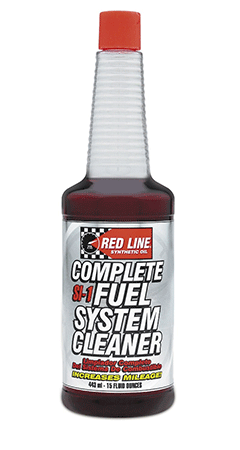 The highly concentrated efficiency of Red Line Complete Fuel System Cleaner cleans close to 100% efficiency in one treatment. It is safe for continual use and boosts fuel octane by 2 points. It is especially efficient at getting neglected or seasonal engines that were not stored using a fuel stabilizer running right from the get go. As you’ve probably already guessed, Red-Line does have PEA as an active ingredient. Gets rid of carbon buildup and prevents future buildup. Lowers NO and CO emissions. Cleans water out of the fuel system. Boosts fuel octane 2 points. Midrange price at $0.99 per oz.